Last week at the Portsmouth Invitational Basketball Tournament, Bliznyuk sank half his shots and averaged better than 15 points in three games. 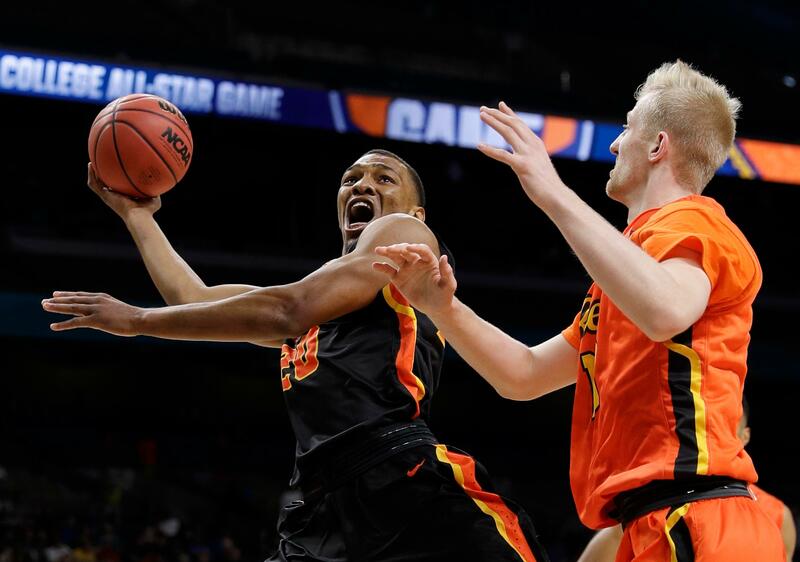 Less than two weeks earlier, Bliznyuk hit 5 of 7 shots in the Reese’s College All-Star game in San Antonio, site of the Final Four. Bliznyuk, who just finished a record-breaking four-year career at EWU, was one of 20 players invited to the Reese’s event. At Portsmouth – where former EWU forward Jake Wiley made a big impression on NBA scouts a year ago – Bliznyuk did the same. Bliznyuk sank 18 of 36 shots from the field and scored 46 points to rank 11th among 64 players in the tournament. He also averaged two steals and 3.3 assists. The goal is the same as Wiley’s a year ago: to play in the NBA. Wiley managed to see action in six games with the Brooklyn Nets this year but played mostly in the G League before an injury cut short his season. Bliznyuk, the Most Valuable Player in the Big Sky Conference, plans to play professionally in the United States or abroad. He recently hired an agent. Earlier in March, Bliznyuk repeated as a NABC All-District 6 selection. He was a first-team choice, a year after making the second team. Bliznyuk scored 2,169 career points to break the previous Big Sky Conference record of 2,102 and smashing the previous EWU record of 1,803. In the final game of his career against Utah Valley in the College Basketball Invitational on March 13, Bliznyuk tied Eastern’s single-season scoring record with 50 seconds left, then broke it with a 3-pointer on the last shot of his illustrious career with 20 ticks remaining. Published: April 18, 2018, 6:09 p.m.